The story of Tai Chi, one dog among literally thousands, tells the story of Soi Dog. Tai Chi was found lying in the gutter, severely malnourished and could not even stand. The first photo you see is of Tai Chi when he was first brought to the shelter. The second photo was taken a month later with his new, loving owner Ina. Soi Dog Foundation is a not-for-profit, legally registered charitable organization in Thailand, the United States, Australia, the UK, France and Holland. 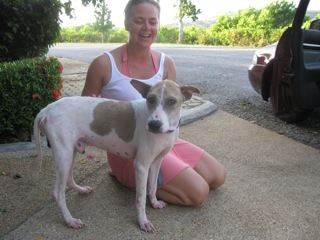 We help the homeless, neglected and abused dogs and cats of Thailand. Our aim is to set an example for the Asian region on how to humanely reduce the number of unwanted dogs and cats through spaying and neutering, and to better the lives and living conditions of the stray dogs and feral cats of Asia. We’ve reached a milestone of over 60,203 dogs and cats sterilized as of January, 2014. 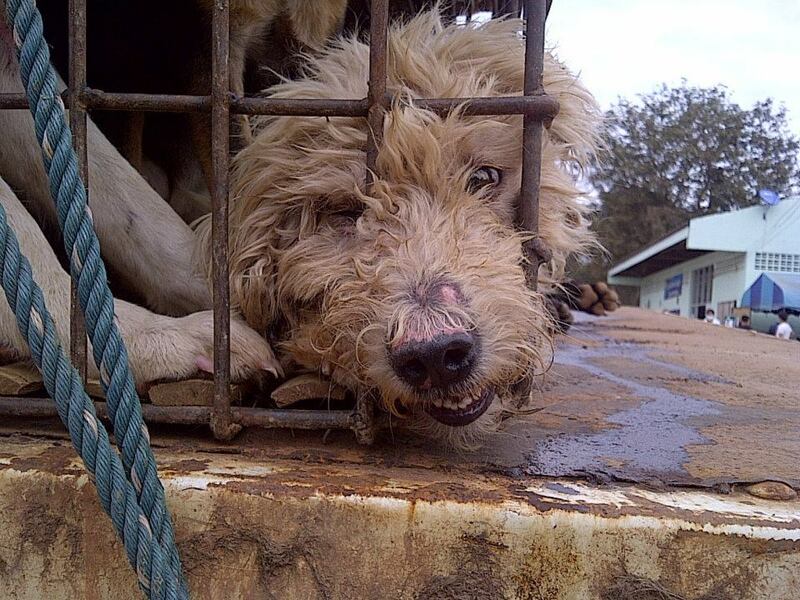 Help Us Stop Thailand’s Illegal Dog Meat Trade! Every year tens of thousands of dogs are inhumanely transported from Thailand to neighbouring countries where they are butchered by cruel and barbaric methods. 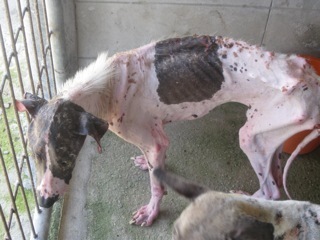 The Soi Dog Foundation and the Thai government are actively working to end this appalling practice. Progress is being made. Soi Dog with other animal welfare groups has presented draft legislation to the Thai Parliament for strong animal welfare laws to be enacted. This tragic trade is condemned by the majority of Thailand’s population, however the practice still continues. Only through your help can we stop this. Since active campaigning was begun in late 2011 more arrests of smugglers have occurred than during anytime in the past. 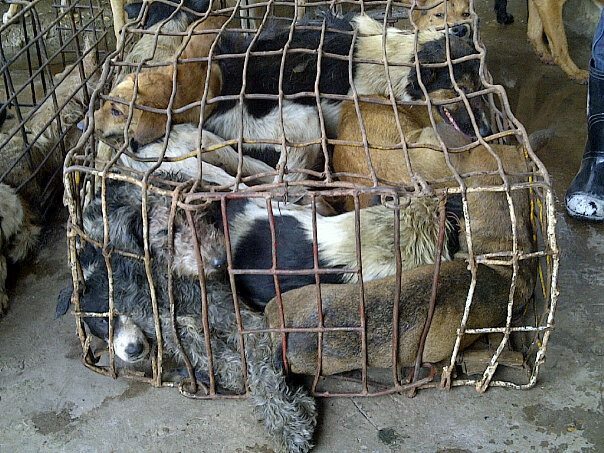 In late 2011 arrests were made in the north-eastern province of Nakhom Phanom with more than 1,000 dogs rescued from tiny cages. Four trucks were intercepted attempting to smuggle the dogs out of the country. The dogs, stacked high in metal cages were being transported to Vietnam for slaughter and consumption. 119 had already died of suffocation in the cramped cages! Since this initial arrest the Royal Thai Police and Royal Thai Navy aided by Soi Dog’s undercover investigators have made over 25 more arrests! These incidences have captured the world’s attention and with your help this practice can be stopped. Help Soi Dog and the Thai government eliminate the pain and suffering of hundreds of thousands of dogs. Please buy some music today to help us continue helping the dogs of Thailand! Proceeds from this page benefit the Soi Dog Foundation. If you would like to know more about the work we are doing throughout Thailand please visit the Soi Dog Foundation website or their Facebook page.